An illustration essay, or illustrative essay, is an essay in which the writer tries to evoke a picture, an illustration, in the mind of the reader. By evoking a picture in the mind of the reader the message of the illustrative essay has a powerful effect on the reader. The illustration essay contains examples of situations, people, or objects which help the reader have a deeper understanding of the respective topic. In this subsection we compiled several illustration essay examples and illustration essay topics in order to help you understand the process of writing an illustrative essay. - Use general and specific sports terms in order to illustrate the manner of swimming, diving, and other tricks that can be achieved in water in Olympic swimming. - Describe and explain the ways in which stage dancing and stage acting differ from high school cheerleading. Write for and against arguments and decide which one of them is a higher art. - Argue why some football team which you like is underrated. - Argue why some basketball team which you dislike is overrated. - Describe the stages in which a university applicant needs to take when writing an essay for university entrance in order to join his/her desired educational institution. - Illustrate your first year at university and how you managed to survive it by writing various tips from your own personal experience. - Describe and explain, from your own personal experience, how to flirt with the opposite gender in order to escape the "friend zone". - Illustrate the manner in which scientists conduct research. Describe in detail every step the scientists take when doing research. - Explain the job of the HR manager. Use instances from your own personal experience with HR managers. - Describe how a chef from a fancy restaurant cooks the dish of the day. Explain all the steps he takes to cook the respective dish. The list of illustrative essay topics and free illustration essay examples above can give you a general picture of the manner in which you should write an illustration essay. Next, we will explain the steps which you should take in order to write an illustration essay. Having studied the examples of illustration essay you should have a better idea of what an illustration essay is. Now it is time to go through the steps of writing an illustrative essay. Step 1: Pinpoint the main topic of your illustrative essay. After having done this, write a thesis statement which will be powerful enough to bedazzle the reader. Be clear with the choice of topic, for this will help your reader to easily understand the topic of the essay. Choose at least three points in order to explain the significance of your illustration thesis. Step 2: Make sure to include information in your introduction about what you will write in the essay, list the reasons for your choice of topic, and give a brief preview to the reader of what follows further in the essay. In other words, briefly describe the outline of your essay. Your first body paragraph should start with a topic sentence which will serve as a hook to the reader, so that you have his/her attention throughout the essay. There are various kinds of hooks, such as metaphors, jokes, quotes, facts, and so on. Step 3: Each next paragraph you write should directly follow the outline from the introduction. Write a paragraph for each of the reasons you listed in the introduction. 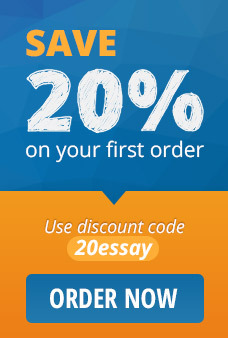 This way your essay will be cohesive and coherent, which will increase its readability. Step 4: List and describe three reasons for your choice of topic. Support those reasons with relevant evidence from your research. Your conclusion should serve as a brief summary of your essay. Avoid stating a claim in your conclusion which has not appeared anywhere in the essay, because this way your essay will not be as cohesive. Step 5: Check your entire essay for mistakes, such as grammar and spelling mistakes, punctuation mistakes, and plagiarism mistakes. Make sure to always do editing and proofreading after you write any kind of essay. You can use various types of examples in order to support your illustration thesis. One illustrative essay example can be written by using personal observation as a method. Another illustration essay example can be written by using the interview method. Read on to see the various example types you can use in order to support your illustration thesis. When using the personal observation method, you should make sure to observe various different locations which are relevant to your topic. Write everything down, and include descriptions of your impressions gained through each of your five senses. The interview method requires face-to-face conversations with professionals in the field related to your essay topic. These professionals can help you by providing deeper insight into your topic. Before conducting interviews with professionals, make sure to have a questionnaire prepared in advance so that your interview is structured. You can use the personal experience method to write your illustration essay, as well. This includes writing about your life experiences connected to the topic of your choice, as well as sensory impressions and impressions from other people described from your own point of view. Various types of media can be helpful in choosing the topic of your essay and supporting your essay thesis. Media types such as books, audios, videos, articles, images, social media, and so on are abundant with information, and as such, can be used as an inspiration for your illustrative essay. If you take into consideration the above information and writing tips, you will be able to easily write an illustrative essay. Bear these tips in mind next time you are faced with the task of writing an illustration essay.